Outlook is rolling out You Can Now Try the New Outlook.com Beta You Can Now Try the New Outlook.com Beta Microsoft has been busy improving Outlook.com. So, in order to get feedback on the changes, the company has launched a beta. And you're invited. Read More a bunch of new features in a new beta version that was recently announced. If you’re interested in test driving them now, it’s a simple as using a different URL to log in. This will give you immediate access to the beta, without having to wait for it to show up as an option in your account. When you first load the beta version, Outlook will give you a rundown of the new features you can use. If you change your mind about using the beta version, you should be able to go back to the pre-beta version by toggling the beta button. 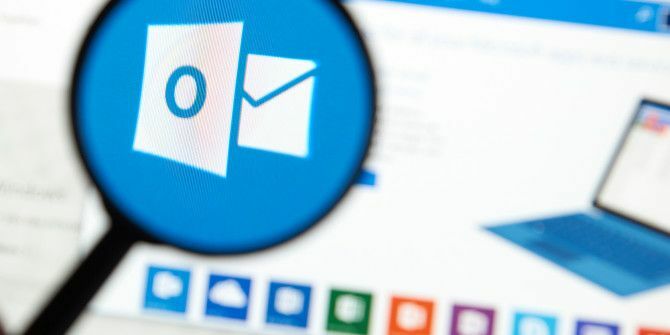 According to The Verge, however, if Outlook hasn’t already rolled out the new beta to your account, this workaround will no longer work if you toggle the beta off. So what do you get with the beta? The beta interface is sleeker, with shortcuts to your inbox, calendar, contacts, photos, and tasks. Search has also been improved with the ability to now preview files and photos in your conversation lists. A key feature that Outlook highlights when you make the switch over to the beta version is the ability to view all your photos in one place. Click the photo icon in the menu on the left to see all photos you have sent or received. This is also searchable, but only by file name. As you type, Outlook will offer suggestions based on your email. For example, if you suggest a coffee shop when arranging to meet a friend, Outlook will create a link that you can click and insert more info about that location or event right in your email. The sleek interface brings with it so much more robust personalization features for how your inbox is set up. You can put your favorite contacts or folders front and center, making it easier to find the messages that matter to you. You can also search for emojis and GIFs by clicking the smiley face button in your compose window, to add even more personality to your messages. Microsoft has also said to be on the lookout for more changes to Calendar and People over the next few months. What do you think of Outlook’s new features? Are you ready to switch over to the beta or do you prefer it just the way it is? What’s your favorite new feature? Let us know in the comments. You did not mention that once Outlook Beta is turned on, your past life evaporates. If you know how to access the earlier Outlook, please share. People are boycotting Google #MarchOnGoogle, how about a article on Protonmail?